This course is aimed at mature students who wish to return to education or those who may intend to pursue education at third level. The course will assist students in developing the key skills and knowledge required to complete courses up to third level in a non-threatening environment. 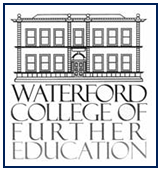 For information about Waterford College of Further Education, please visit our college page on www.nightcourses.com by clicking here.